• Why Use a Peg Layer? 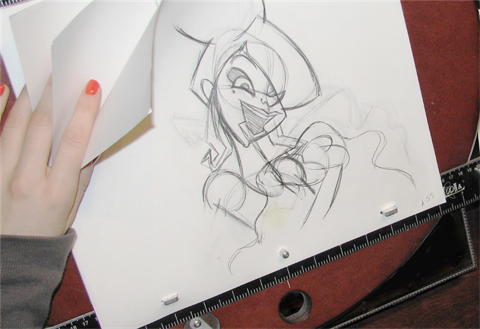 Before digital compositing, the peg bars were also used to move levels under the camera stand. They were the equivalent of digital trajectories. 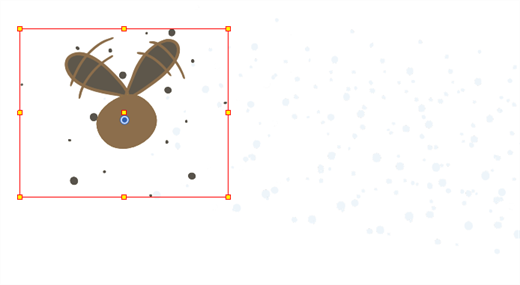 Animate Pro makes use of these concepts to create animation and camera moves. 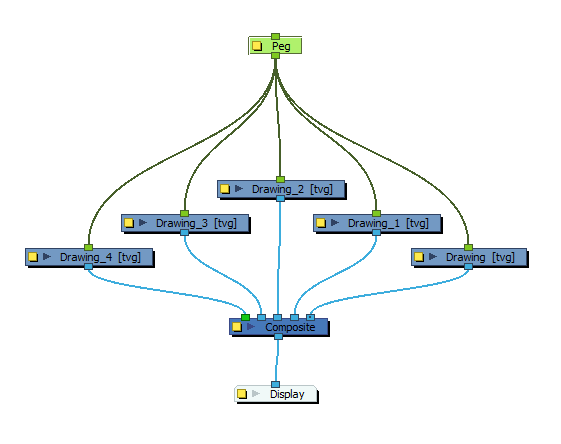 ‣ In Animate Pro, select a Peg module from the Module Library and drag it to the Network view. 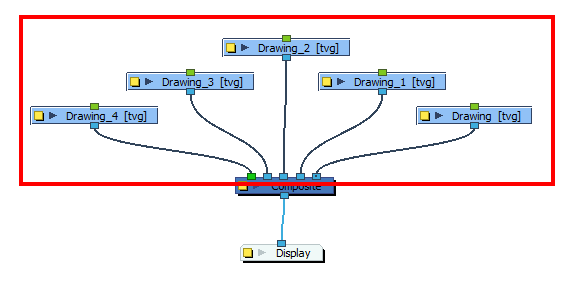 In Animate Pro, you can add pegs to the Network view using the Module Library view and they will instantly appear in the Timeline view. The modules you add to the Network view will be synchronized with the ones appearing in the Timeline view. 1. In the Module Library view, select the Move tab. 2. Select a Peg module and drag it to the Network view. 3. 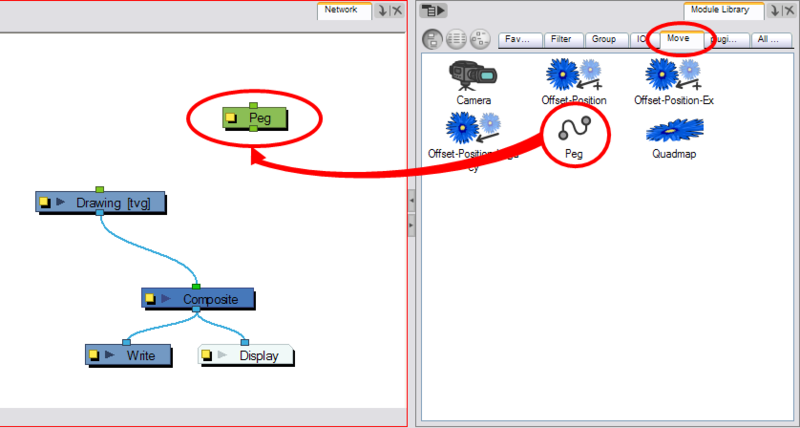 In the Network view, select the Peg module's out port and connect it to a Drawing or Camera module. The advanced connections in the Network view are shown in the Timeline view, unless they cannot be reproduced in a timeline layout. 1. In the Network view, position the pointer at the location to which you want to add the new peg module. 2. Add a new peg by pressing [Ctrl] + [P] (Windows) or [⌘] + [P] (Mac OS X). The new peg appears in the Network view. You can automatically create connections between modules in the Network view without having to drag cables out of the ports. ‣ In the Network view, select one or several drawing modules that are not parented to any other module. ‣ Press [Ctrl] + [P] (Windows) or [⌘] + [P] (Mac OS X) to add a new peg module to the Network view and automatically connect it to the selected modules. ‣ Press [Ctrl] + [Shift] + [P] (Windows/Linux) or [⌘] + [Shift] + [P] (Mac OS X) to add a peg to each individual module. 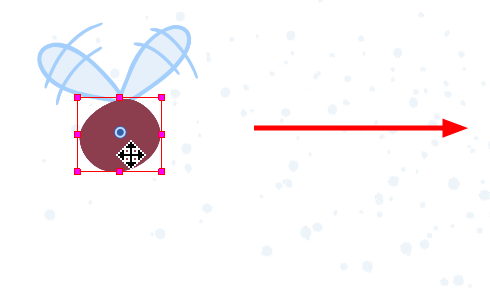 In the Transform Tool Properties view, the Peg Selection Mode lets you automatically select the peg layers in the Camera view instead of the drawing layers. 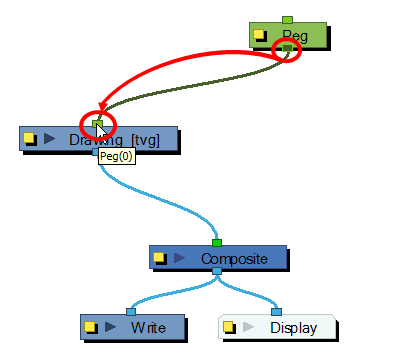 If you animate with pegs instead of animating the drawing layers directly, enable the Peg Selection Mode to avoid having to select in the Timeline view or use the Select Parent Skipping Effects command. 2. In the Tool Properties view, click the Peg Selection Mode button. 3. 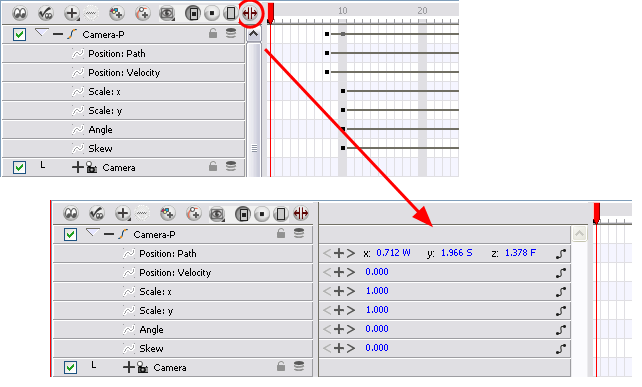 In the Camera view, select an element parented to a peg.